Have Questions About In-Home Care and Support Services? Get Free, Personal Assistance from a Local Advisor. It is important to know that there is a difference between medical and non-medical in-home care. Non-medical home care services include personal care, assistance with daily living activities, meal preparation, housekeeping and transportation. Medical, Skilled home health agencies administer skilled licensed nursing and rehab services under physicians orders with strict guidelines. Most non-medical in-home care is an ‘out of pocket expense’ whereas skilled care is usually covered under Medicare and other insurances. Who is a candidate for In-Home Senior Care? 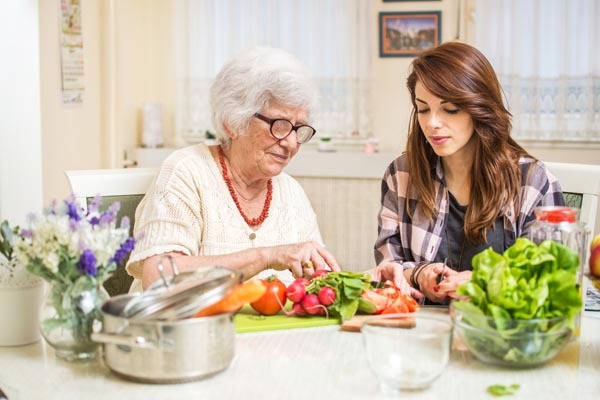 Generally, home care is appropriate whenever a person prefers to stay at home but needs ongoing care that cannot easily or effectively be provided solely by family and friends. More and more seniors – electing to live independent, non-institutionalized lives – are receiving home care services as their physical capabilities diminish. Before you start your search for In-Home Senior Care options, ask yourself a few key questions about what you are looking for, what you need to know, what your ideal outcome would be a year from now, how you will the evaluate the cost of in home care, and how you will make the distinction between price and value. And always, contact your local Choice Connections Certified Senior Housing Specialist. Our service is FREE and we will walk you through the maze of in home care options and personally guide you every step of the way – and always free of charge.